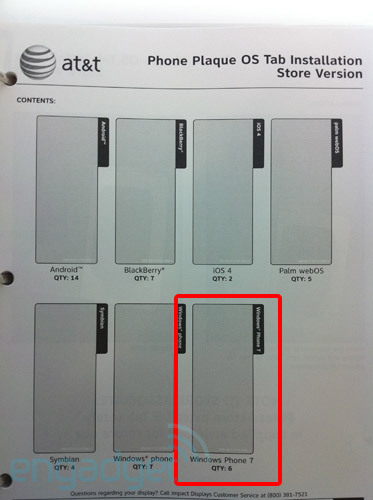 While we eye that vague holiday release date, AT&T retail stores are starting to receive signage for Windows Phone 7. The signage is part of a July 24th overhaul. Engadget lets us know this is normal for devices that launch in September. Still, September is before the holidays, so that’s good right?